Snowy Photos: April 10th, 2010: He's Getting Married! April 10th, 2010: He's Getting Married! Dylan, a frequent participant in SnowyPhotos adventures, is getting married in a few short months and felt like celebrating with some of his boys. 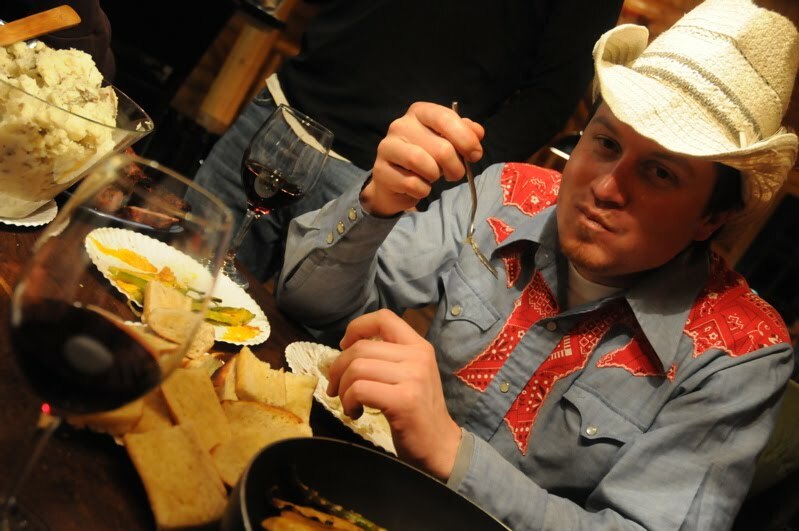 What says "I'm getting married" more than a party shirt, cowboy hat, red meat, garlic bread, and a few glasses of wine? If you're wondering about the wine, I should tell you that he is from Sonoma, which is where wine is made. Unlike Napa, which is where auto parts are made. At least that's what he tells me. 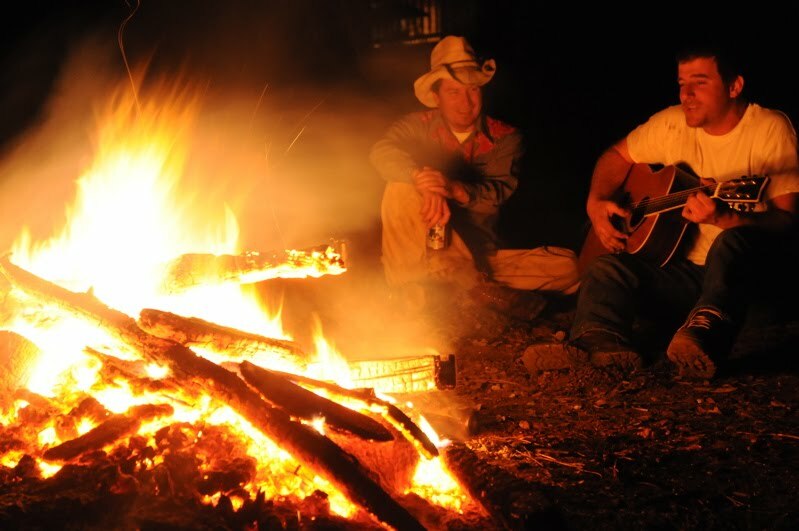 I guess bonfires, beer, and Jonny Cash say "I'm getting married" pretty well too. Congrats Dylan.